Tip #1: Ensure Your Pet is properly I.D’d: Pets can easily get lost in a new area they are not familiar with. If Fido get separated from you, you want to make it easy for people to contact you when he is found. If your pet is microchipped, make sure your contact information is current. No microchip, no problem; you can purchase a small tag with your pet’s name and your cell phone number on it and put it on his collar. Tip #2: Have a Copy of Your Pet’s shot records: Many states, including Minnesota, require that your pet be current with their shots especially a rabies vaccination. It’s a good idea to have a copy of your pet’s shot records with you when traveling. Tip #3: Don’t forget to pack a bag for your pet: When you packing for yourself and your family, it’s easy to forget about your pet. Take the extra time to pack a bag for your pet. Include grooming brushes, medication if needed, a first aid kit, favorite bed, favorite toys, and the most important, a good leash. Tip #4: Food & Water: while it not good to feed a pet in the car while moving, it is important to ensure they have their normal food for the trip. When you stop for gas or a to take a break, make sure your pet has fresh water available to hydrate. Keep some tap water in a cooler in a plastic bottle and having a bowl to pour it in, is an important thing especially when traveling during the heat of summer. Tip # 5: Potty Breaks: When you stop for gas or a break, don’t forget about your pet. During long drives we all enough a break to stretch our legs and your pet will also welcome the chance to get out of the vehicle for a bit. Remember to keep them on a leash! 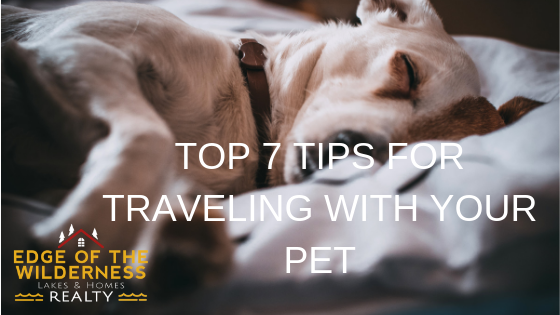 Tip # 6: Bring a well ventilated carrier: Having a safe place to house your pet makes the entire travel time safer for both you and your pet. Carriers do take up quite a bit of room in your car, it is a safer place for pets to travel. And when you get to your hotel or cabin, a carrier is also a nice place to have your pet relax while you are unloading the car or going to dinner. Tip #7: Never leave your pet in the car unattended: Just like young children, pets can easily overheat in a locked car. Even if the temps seem comfortable to you outside, inside the car they can quickly get too hot. Its better to be safe! With so many fun activities in Itasca County, your pet will definitely enjoy going hiking, fishing, camping, and more. Travel safe and don’t forget to stop by and visit us at our Marcell and Grand Rapids locations. We LOVE dogs! Spring is here and that means summer isn’t far behind. What plans do you have for your children this year when the last school bell has rung? It can be a challenge to keep little minds simulated and active hands from getting into mischief. I just might have a solution for you! 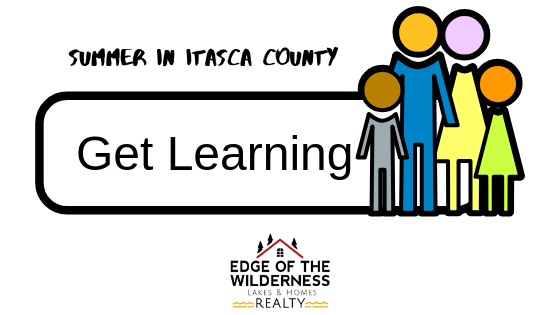 GET LEARNING, the community education program for the Itasca Area Schools Collaborative, offers a wide range of programs and classes throughout Itasca County to keep your children busy. And, if you have some free time on your hands, they have adult classes as well. While their spring catalog is coming to an end, there are still plenty of activities to participate in while awaiting the summer catalog which will be out shortly. You can see the current catalog here. We are never short of fun activities in the Grand Rapids and surrounding area. Plan to enjoy some of the wonderful classes offered! Where will we be closing? You can pick the closing company you’d like to work with. Your Realtor can give you recommendations for closing companies they’ve worked with in the past if you’d like. The closing company will work to get all of the title work completed, paperwork prepared, and identify any issues. Is the closing date on my contract guaranteed? The closing date on the purchase agreement may change. It is our best guesstimate of when everyone will be ready, including the lender if there will be a mortgage. Your realtor will keep you updated on how things are progressing. We do everything we can to ensure we will meet the agreed upon date, but things do come up. What happens at closing? Both buyers and sellers should bring their driver’s license as proof of identity. And then, be prepared to sign…..lots of signatures….like a lot! Your closer will review each document with you and have your sign. Once all signatures are completed, you’ll receive copies of everything. Buyers have your settlement funds ready to do. Sellers; you’ll get the proceeds. When will I get the keys? The most widely agreed upon timing is at closing. Once both buyers and sellers have signed on the dotted lines, the keys are turned over to the new owner. In some circumstances and with prior agreement, move-in early terms are negotiated between buyers and sellers. Remember, your Realtor will keep you updated on all closing activities. You may be asked for additional information, especially from your lender. Never hesitate to pick up the phone and ask questions. That's what we're here for! The team at Edge of the Wilderness Realty loves living in Grand Rapids and surrounding area of Itasca County. Wonderful lakes, miles of trails, and the beauty of nature. 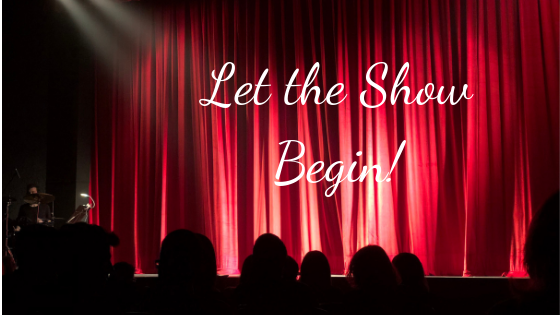 But did you know we also have booming Arts & Theater opportunities? That’s right, the Twin Cities has nothing on us. No need to drive for hours to see a play or heard some awesome music. There is plenty of that right here in Itasca County. The Edge Center for the Arts, Bigfork, MN: This amazing center plays host to art exhibitions, touring shows, locally produced shows, and classic films. Located about 38 miles North of Grand Rapids, the Edge Center is a great play to come. The 2019 season is set to bring us a wide variety of exciting events. Visit their website for a full schedule. MacRostie Art Center, Grand Rapids: The MacRostie Center host art exhibits, has a wide variety of classes and a shop that features local and regional artist. There is something for everyone at the MacRostie. For adults learn to make a Birch Bark Mat, Paint, work with clay, and jewelry making, just to name a few. For youth there are classes in 3-D printing, watercolors, sculpture, and more. Visit their website to see everything that is offered. You are sure to find something that interest you. As you can tell, there is so much to do in Itasca County. Why not come and join us? 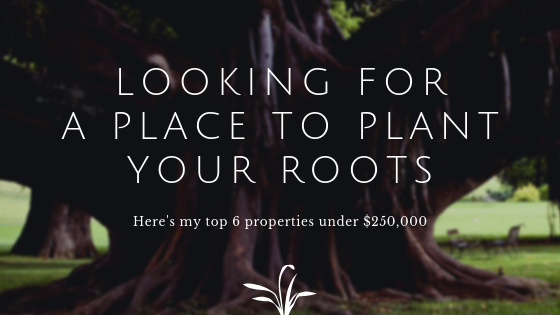 If you’re looking for a new home in the Grand Rapids, MN area, I’ve found six great homes at $250,000 and under. Some on water, others close to town. Take a look at these awesome homes and then give me a call for more information. I know what the seller is asking, but how will I know how much to offer? Your realtor can help you with determining your offer price but the decision is yours. And remember, it’s not always about the money. Are you pre-approved? Are you asking for help with closing cost? 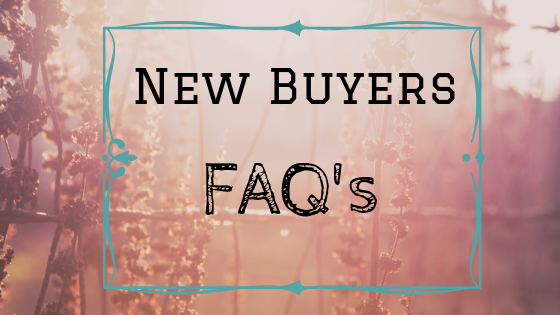 Will your offer be contingent on selling another home or on an inspection? How quickly do you want to close? All of these items can come into play when writing an offer. What’s are contingencies? Contingencies are also part of the purchase agreement where the buyer is staying “I will pay your this much for your property, BUT these things apply to my offer”. For example, one contingency might be a home inspection. Another might be a septic compliance and a well test. If you currently own a home but have it on the market, you might choose to have a contingency based on the sale of your current home. Talk to your Edge of the Wilderness Realtor. How much earnest money should I put down? This is your opportunity to show the sellers that you are serious about purchasing their property. While there isn’t a set amount of money you need to put down, go in strong but stay in your comfortable level. What happens to my earnest money? Your earnest money is deposited into the seller’s broker’s account. The buyer will see a credit on their settlement statement at closing. In other words, the earnest money is returned to the buyer as a credit when we close. If, the seller meets all of the requirements of the purchase agreement and the buyer secure financing but decides at the last minute to walk away without cause, the seller may get to keep the earnest money that the seller deposited. Will I get my earnest money back if the contract is not accepted? Absolutely! What is the process for getting my earnest money back if the contract is accepted and the home inspections finds an issue? If, after the home inspection, the buyer decides that the home has too many repair issues to move forward, earnest money will be returned to the buyer. It’s just a matter of canceling the contract, having both buyer and sellers sign the cancelation, and then a check is mailed to the buyers address. One of the things I love about Grand Rapids is the great opportunities for fun outdoor activities basically year-round. We’ve really enjoyed our skiing, snowmobiling, snowshoeing, cross country skiing and hockey this winter. Now it’s time for some awesome Spring and Summer adventures. Itasca County is loaded with great lakes. From Pokegama to Wabana, to the mighty Mississippi River, we have places for all of the great water activities you love. One local business, Paddle Hoppers, is a wonderful place to start your adventure. 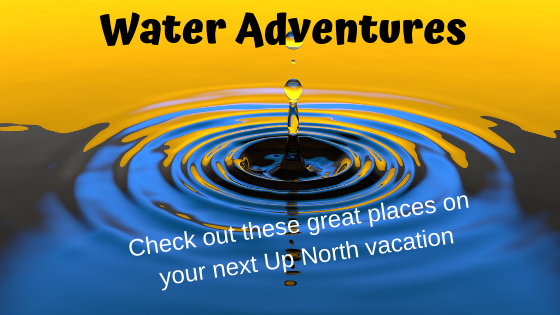 Paddle Hoppers offers a wide variety of choices for your water vacation. Rent paddle boards, kayaks, and canoes. You can rent right at their location and get it the water there, or rent a kayak and head to another lake for your adventure. Don’t miss some of the exciting trips they have planned this year. How about a 3 hour Saturday River Run adventure or trips to Clubhouse, the Joyce Estates, or the Gunn Lake Chain. Be sure to register early, these adventures book up quickly. There are so many great activities. Paddle Hoppers also sells equipment. If you looking for a new kayak, canoe, or Paddle board, stop by their shop at 17 Country Road 63 in Grand Rapids. More of a fisherman or woman? Thousand Lakes Sporting Goods is a great place to stop, pick up your bait, and gets tips from the staff that are all die-hard fisherman/women. Located at 331 4th Ave NW in Grand Rapids, they carry all of the top brands including Simms, Rapala, Patagonia, and Shimano. If its your first time coming to Itasca County to fish, the folks at Thousand Lakes can hook you up with a fish guide or simply point you in the right direction. From Muskie to Walleye to Panfish, they will know where they are biting. Don’t forget to say “Hi” to Bennet, the very large Chocolate Lab who is often at the store. I’ll share some more of my favorite places in future blog post. There are so many great businesses in Grand Rapids that it’s hard to talk about all of them in a single post. 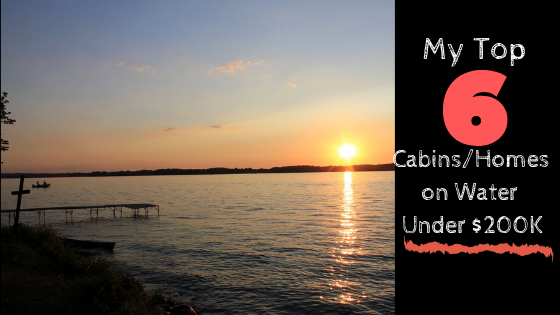 Dreaming of a home or cabin on water in Itasca County but not sure you can afford it? Here’s my Top 6 List; All under $200,000! 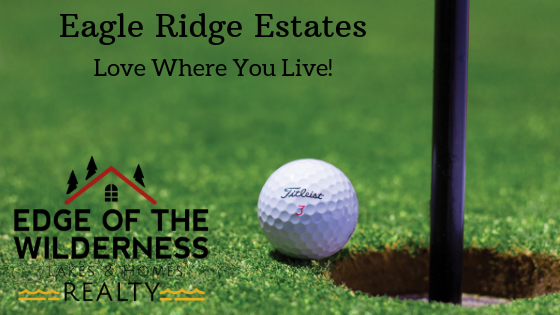 No matter where you are looking in Itasca County; Bigfork, Marcell, Spring Lake, Wirt, Grand Rapids……we have you covered at Edge of the Wilderness Lakes and Homes Realty. Give us a call today! One of the many things we love to do in Itasca County is get outside during the wonderful spring & summer months. The weather is prefect, the scenery stunning, and the people you meet are awesome. After a long, long winter, what I really want is to play a great game of golf! Eagle Ridge Estate is the closest thing to a gated community in the Northland. With only one entrance, you’ll have the peace and quiet of living on a private estate. Large, wooded lots with Trout Lake access, these lots surround the Eagle Ridge golf course. This is a common interest community with a Marina and Private Boat Slips. Think of it; building your dream home, enjoy the serenity of the community, and enjoy being so close to a great golf course.. Walk to the Marina and take your boat for a spin on the 1890 acres that make up Trout Lake. Enjoy fishing? Trout Lake is home to a wide variety of fish including Crappie, Largemouth Bass, Northern Pike, Smallmouth Bass, and Walleye. With so much to offer, Eagle Ridge Estates is sure to be one of most popular exclusive communities in the Grand Rapids Area. Lots start at just $25,000. Give me a call if you’d like to explore all Eagle Ridge Estates has to offer.